Open Casting Call for multiple male and female roles. 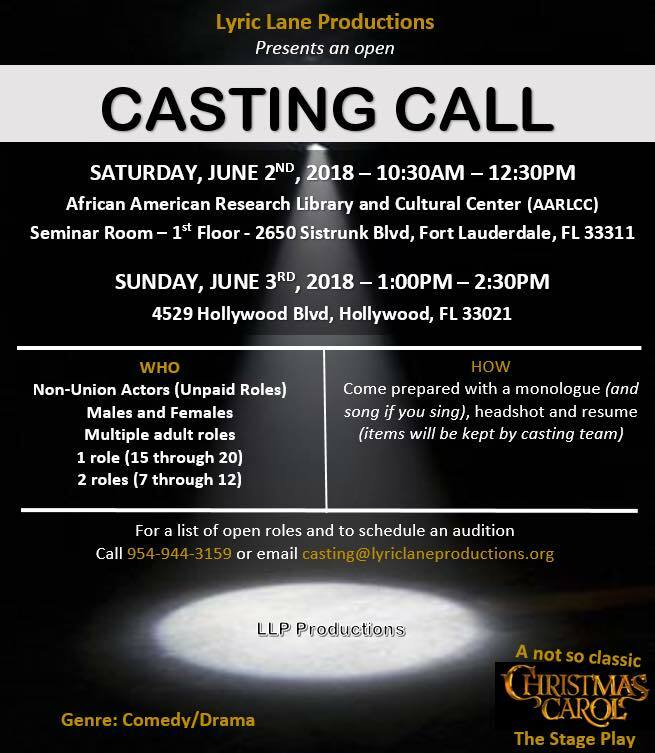 Lyric Lane Productions will be hosting open auditions for their upcoming holiday stage play, “A Not So Classic Christmas Carol.” The open call will be held at the African Research Library and Cultural Center in the city of Hollywood, Florida during the first weekend of June. Please note that all available roles are non-paid.